Today’s air conditioning systems are far more advanced than they were ten years ago. They provide many more options to make sure that you are getting the most out of your investment. HVAC systems are not one-size-fits-all… To find the best HVAC system for you and your home trust Jupiter Air Conditioning and Heating tо bring you the best HVAC system… with the best service… at the lowest cost. Jupiter Air Conditioning and Heating offers an innovative new service called HVAC Zoning to help you avoid wasting the energy produced by your HVAC system. HVAC zoning allows you complete control over how hot or cold you’d prefer each room, so you won’t be spending a penny more than you have to. Zoned Systems utilize mechanical dampers within your home’s ductwork to open and close different “zones” to divert energy to where you need it. Each zone is controlled by a separate thermostat so that your family can control how hot or cool they’d like each room. Your family will be more comfortable AND you’ll be spending less on your utility bill! A heat pump is a single appliance that controls both your home’s heating and cooling. Using two separates appliance for heating and one appliance for cooling will cost you more money for installation and maintenance fees. Heat pumps are also more energy-efficient and will reduce your monthly utility payments. It doesn’t matter if your home has a central air conditioning system or a ductless mini-split system. 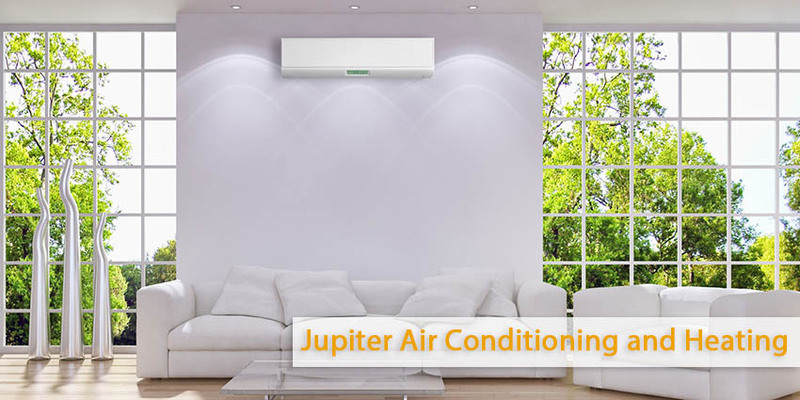 Jupiter Air Conditioning and Heating can install a heat pump system into any home so that you can enjoy the full benefits that a heat pump has to offer.